Each week Cee of Cee’s Photography challenges bloggers with a fun prompt. This week we’re to find photos of subjects that feature red objects. Plenty of Santa caps on sale by the Silk Market. 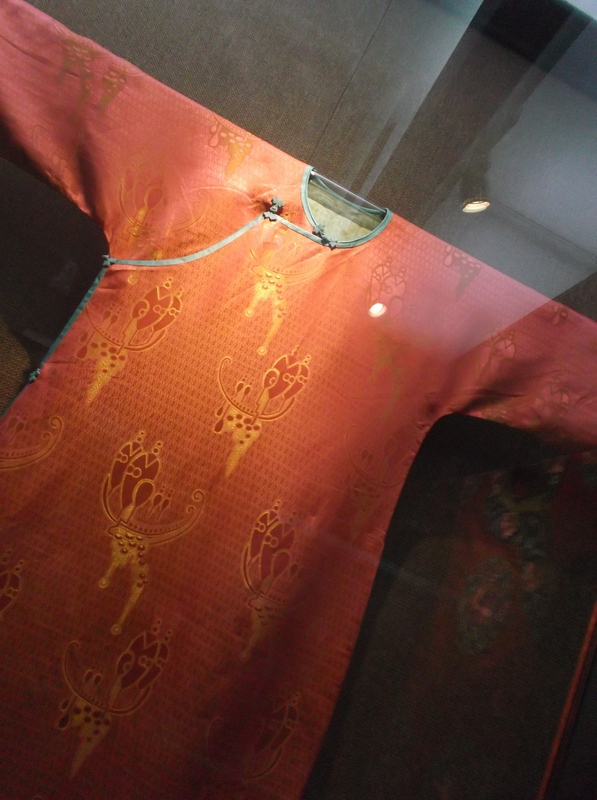 At Prince Gong’s Palace, silk robes from the Ming dynasty. At New Years’ Chinese people put up new red panels on their doors to welcome good luck. They’ll do this in February for Chinese New Year, a.k.a. Spring Festival, in February this year. They keep the previous one’s up all year. I’d never had these before. When I’ve seen them on the street, covered with syrup, I thought they were little apples. Nope. They’ve got a lovely, tangy flavor. Impressive, eh? I love the red against the grey.